Striped Bass fishing remains good, especially from dusk to dawn. Live lining bunker on three-way rigs have been very effective. Just remember to use circle hooks to reduce "gut hooking." Also, Charles Island area, Housatonic River, buoys 18 and 20 off Stratford Point, Stratford Shoal/Middle Ground, Bridgeport Harbor, Penfield Reef, around the Norwalk Islands, and Cable and Anchor Reef. Also, don't forget about our coastal state parks for shore fishing access. Bluefish fishing is good throughout Long Island Sound with The Race and Plum Gut consistent spots. Fluke fishing is fair to good. Porgy fishing is good to excellent on the major reefs/rock piles. Black Sea Bass fishing is good on the reefs/wrecks. Fishing around slack tide is best. 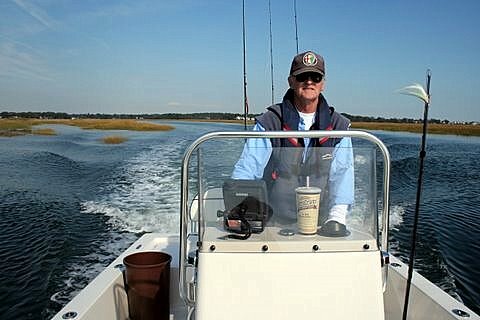 Blue Crabbing remains good in the tidal creeks of Stonington to Mystic and Westbrook to Guilford.